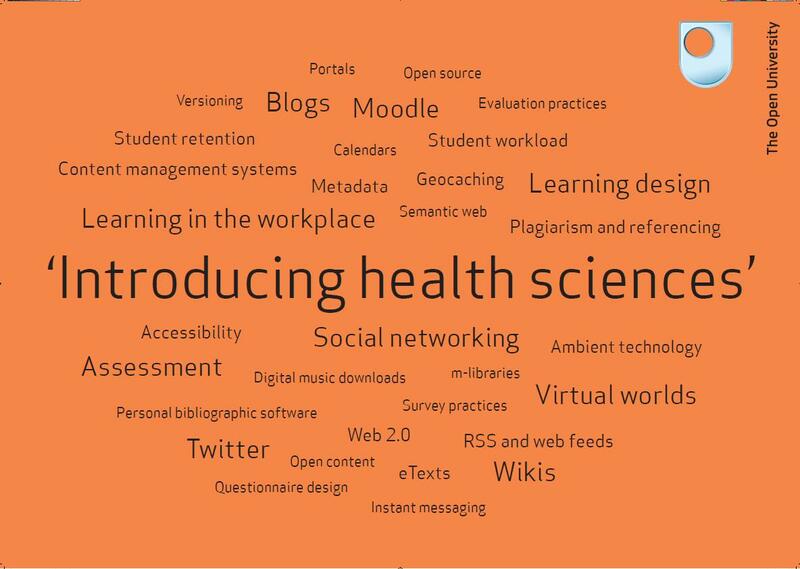 'Introducing health sciences: a case study approach' (SDK125) was awarded an Open University Teaching Award in 2009 for innovation in supporting students new to science and distance learning through online collaborative activities, and blended text, multimedia and interactive assessments. The course team developed a wide range of tools, for example, online split screen tutorials that allow simultaneous internet access alongside text that guides the student step by step through keyword searches in OU library or on the internet. Students are then able to locate data on water quality and sanitation via the internet, and share their data whith their tutor group though the use of wikis and forum discussions. Captivate animations have been used to teach students how to analyse shared tutor group data from a home experiment to measure lung volume using spreadsheets and scatterplots. Throughout the course, knowledge and understanding of the science is supported by a multimedia DVD that uses a wide range of video, flash animation, and interactive self-assessment quizzes. iCMAs created in OpenMark have been used both formatively and summatively throughout the course in a little but often assessment approach that we believe reinforces learning and enhances retention.